The Monday Night Football game should be a great one as the Kansas City Chiefs face off against the Denver Broncos in this classic AFC West showdown. These are the top two teams in the division and it is likely they will be the two clubs battling for the division title. The Chiefs have won the last five games between these two teams, including sweeping last year. The Chiefs won in Denver on December 31, 27-24. Kansas City leads the all-time series 61-55-0. The Kansas City Chiefs jumped out to a 35-7 lead on Sunday before fending off a late rally by the San Francisco 49ers before winning, 38-27. 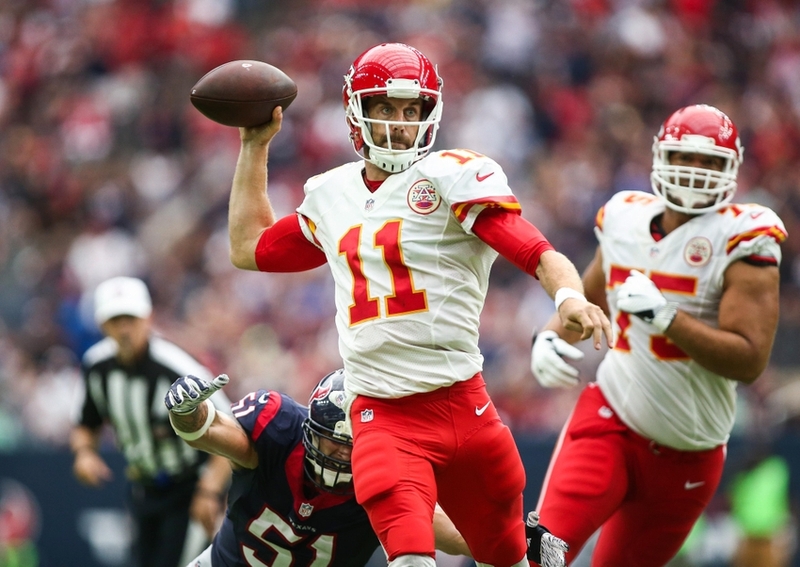 Quarterback Patrick Mahomes threw for 314 yards and three touchdowns in the victory and tight end Travis Kelce had 114 yards receiving in the victory. Kansas City would jump out to a two-touchdown lead with two first-quarter touchdown runs by running back Kareem Hunt, both for 1 yard. The 49ers would cut the deficit in half, but Mahomes threw three second-quarter touchdowns to put the Chiefs in command. The first came on for yard pass to Chris Conley. He would add a 13-yard pass to Demetrius Harris for a touchdown and a 12 yarder to Sammy Watkins to put Kansas City on top 35-10 heading into the half. However, San Francisco would battle back with two touchdowns in the third quarter to pull within 11. The teams traded field goals in the fourth quarter as Kansas City held on for the victory. Patrick Mahomes completed 24 of his 38 passes for 314 yards and three touchdowns. He did not throw an interception. The Kansas City defense was led by Justin Houston, who recorded two sacks. The Kansas City defense is ranked 30th in the NFL, allowing 30.7 points per contest. They are last in yards allowed at 474.0. The Chiefs are seventh in yards per game at 398.3 and are first in points scored at 39.3. Twice the Denver Broncos found themselves a touchdown ahead in the first quarter, but the Baltimore Ravens defense would clamp down on the Broncos offense, allowing their own team to battle back for a 27-14 victory. The Broncos yielded 20 unanswered points in suffering the loss. The Broncos would take the lead on their first possession when Royce Freeman scored from 6 yards out. Baltimore responded with a touchdown of their own, but Emmanuel Sanders would take an end around and run 35 yards for a touchdown to put Denver back on top. However, the Baltimore defense would clamp down on the Broncos, not allowing them to score another point through the last 53 minutes of the game. Meanwhile, Baltimore would score two touchdowns and add two field goals by Justin Tucker to take the lead and win 27-14. Case Keenum threw for 192 yards in the loss. Darian Stewart made nine tackles to lead the Broncos defense. The Broncos offense is ranked 11th in the NFL in today yards 382.7 per game and are 19th in points scored at 20.3. The Denver defense is 14th in yards allowed per contest at 340.3 and they are 16th in points allowed at 23.3. 4-0 ATS in their last four road games against teams with a winning record at home. 7-1 ATS in their last eight games. 6-1 ATS in their last seven games against AFC teams. 20-7 ATS in their last 27 games against AFC West teams. 4-1 ATS in their last five week four games. 1-4 ATS in their last five games at home against teams with a winning record on the road. 1-5-1 ATS in their last seven games at home. Kansas City has dominated this series of late for one reason – quarterback. They have the superior quarterback here as well, and he will likely be the difference maker in this contest. There is no doubt that the defense of Kansas City could not stop a paper bag, but they can pretty much score at will and that will be the difference maker in this. The Chiefs are 4-0 ATS in the last four meetings in Denver and they are 5-0 ATS in the last five meetings overall. The Chiefs offense is really good in their defense can stop anyone. That’s the perfect equation for going over in this contest.